Family Storytime will be held at the Main Library on Saturdays from September 15 - December 8 (excluding November 24) at 10 am. 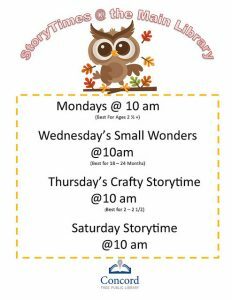 Join us for stories, songs, fingerplays and a short puppet show. Lots of fun for the whole family! 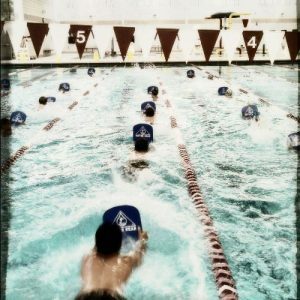 Come show your support and cheer on the Otters Swim Team! Concord Band Holiday Pops. 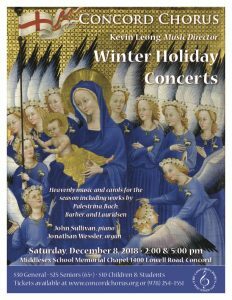 The concert features music and visions of the season. Table seating and light refreshments, an appearance by Santa and a holiday gift raffle. Tickets $25/$15 children under 12. Call 978 897-9969 or buy on-line.